Award winning Nigerian singer, Tiwa Savage, mentions estranged husband, TeeBillz, in her public profile on record label Roc Nation’s website. 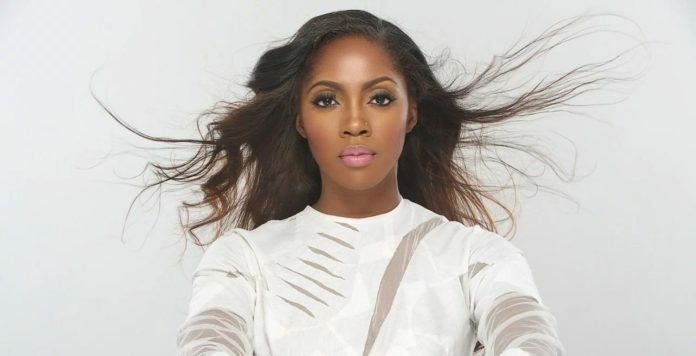 Popular Nigerian singer Tiwa Savage recently bagged a record deal with Jay Z’s Roc Nation label. Roc Nation has now created a profile of the Kele Kele Love singer on their website and Tiwa gives details of her start and growth in the music industry in details. She also mentions the positive influence of her estranged husband Tunji Balogun aka TeeBillz who urged her to move back to Africa to make more of an impact over there. She refers to him professionally as ‘Tunji “TJ Billz” Balogun’ and not her husband. The full profile can be found on Roc Nation’s website. What does this mean for the star couple, is there hope for reconciliation still? Below is a picture of the couple at their wedding.